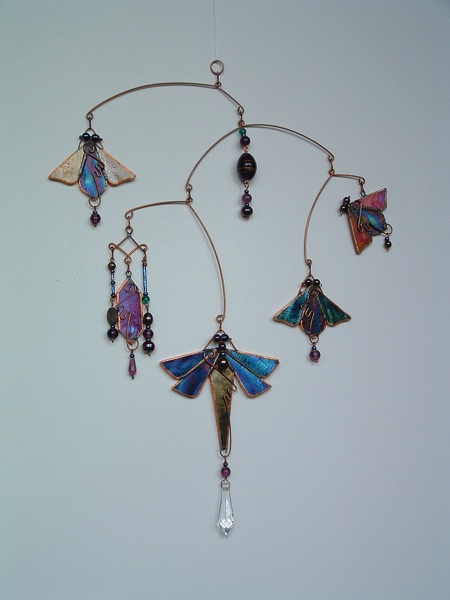 Whimsical designs form the basis for Anita Hejtmanek’s stained glass jewelry, mobiles, and glass ornaments. 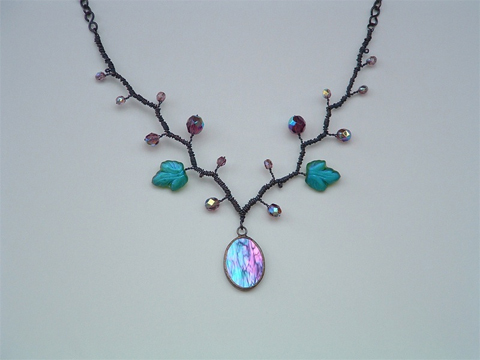 She draws inspiration from the natural world, creating necklaces that resemble leaves and vines, and ornaments that feature colorful winged insects. 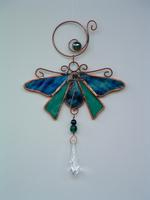 Use of glass, beads, and intricately woven wire make each piece delicate and intriguing. 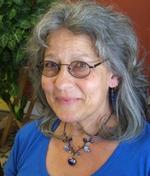 A graduate of Indiana University with a degree in sculpture, Anita discovered stained glass by finishing one of her sister’s projects. 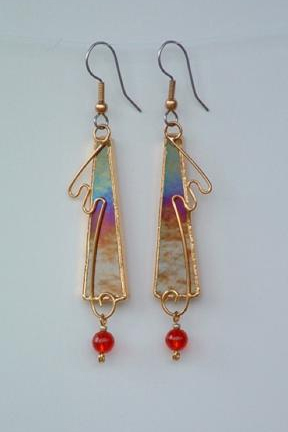 That’s when her interest in glass began, and she’s been making jewelry for more than 15 years.